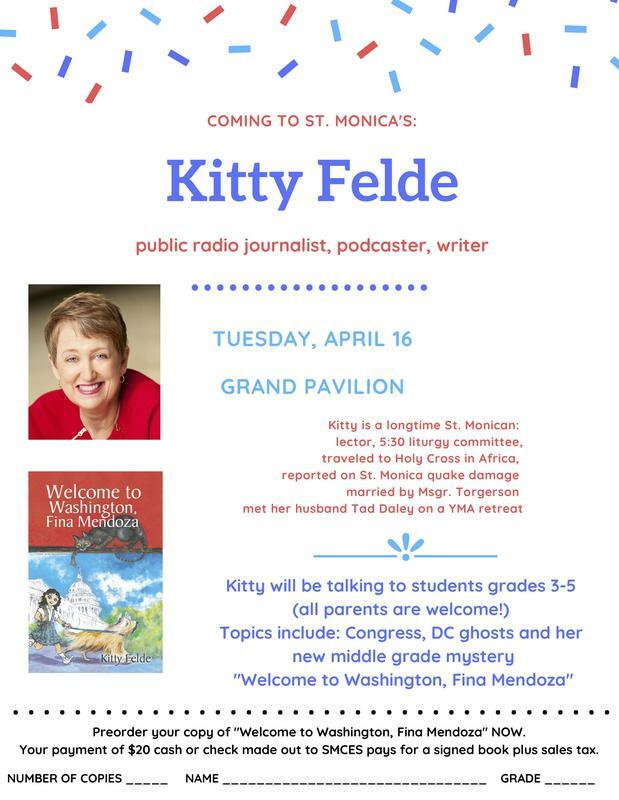 Tuesday, April 16th., a longtime parishioner, Kitty Felde spoke to the Third through Fifth Grades about her just-released book, "Welcome to Washington, Fina Mendoza"
Student safety has always been at the forefront of the SMCES administration. Please read the attached safety update for current safety information. 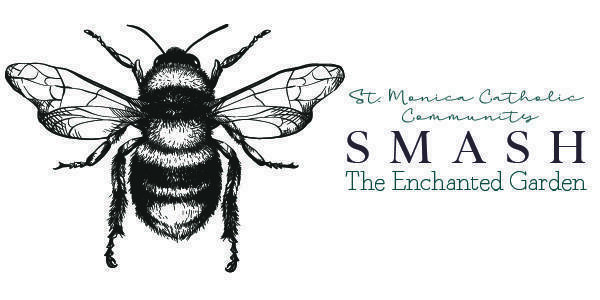 SMCES 2019/2020 Enrollment Application is available now. 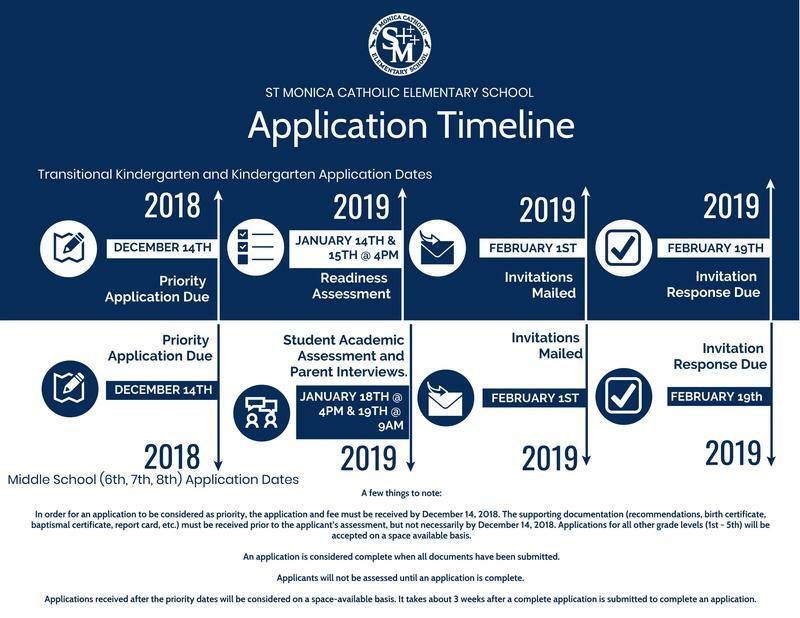 If you are interested in applying to St. Monica Catholic Elementary School for the 2019/2020 school year applications are being accepted now. S.M.A.S.H. 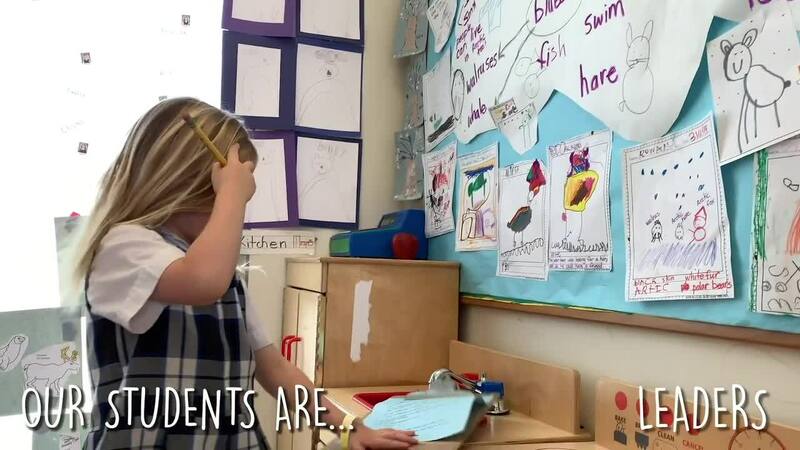 is the elementary and high schools' largest and most beneficial event.